Hugh J. Algeo IV Appointed to Upper Main Line YMCA Committee - Eastburn & Gray, P.C. Hugh J. Algeo IV, an attorney in the firm’s family law practice, was recently appointed to the Upper Main Line YMCA Membership Committee. In this role, Mr. Algeo will be responsible for recruiting new members and retaining the organization’s current members. The purpose of the committee is to advise the staff and Board in overall membership service, membership growth and membership retention strategies. 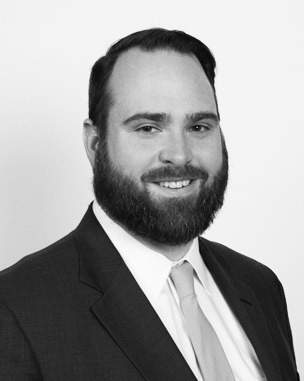 Mr. Algeo is an attorney in the family law practice at Eastburn and Gray where he handles a wide variety of complex family law and domestic relations issues including divorce, custody, child and spousal support, protection from abuse, alimony and equitable distribution. Mr. Algeo works with clients throughout all phases of the legal process, from negotiation to trial. The Upper Main Line YMCA is part of an association of eight YMCAs across Chester County that offer life-changing programs for children, families, adults and seniors. The Upper Main Line YMCA aims to make sure that everyone, regardless of age, income or background, has the opportunity to learn, grow and thrive. To learn more about the YMCA, please visit www.ymcagbw.org.